It’s often amazing to me the kinds of shortcuts that our minds take when interpreting the world around us. 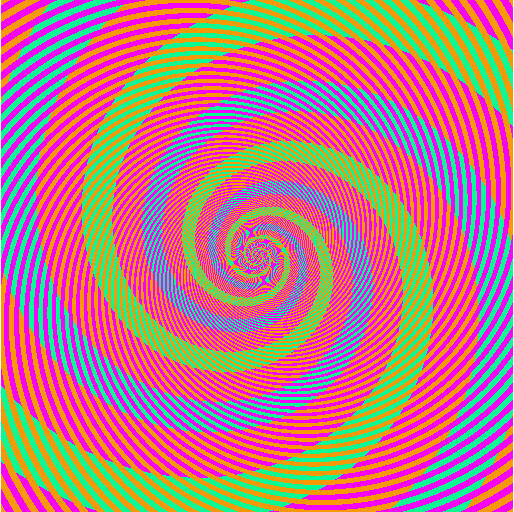 For the lazy, who won’t click through to the wonderful article in Discover Magazine, the greenish spirals are actually the same color as the bluish spirals. What changes is the color that surrounds it. You can see other illusions like it on Kitaoka’s page. We see different colors when they are exactly the same, less food on a large plate than on a small plate even though it’s exactly the same amount, and feel full based on what we’ve seen rather than what we’ve eaten (from Mindless Eating ). We have confirmation bias – the tendency to see and attend to things that confirm our pre-existing theories. Sometimes it’s amazing how well we get around in our world.